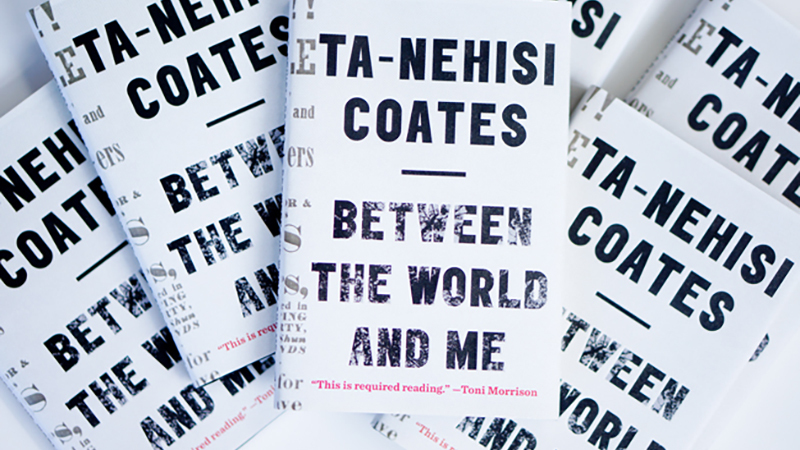 As students, faculty and staff across campus continue to read and discuss Ta-Nehisi Coate’s book “Between the World and Me,” this year’s selection for the Common Reading Program, an essay contest is underway to foster academic inquiry and encourage students to interpret the text in critical ways. At the same time, registration is underway for a set of winter term for-credit seminars where first- and second-year students will explore the book through a specific focus with a small community of classmates and expert faculty members. “We are eager to see what our students are taking away from this incredibly thought-provoking book and hopeful that this contest and new set of seminars will deepen the conversation and be a showcase for student research,” said Sharon Kaplan, the Common Reading Program coordinator. Demonstrates that the student has studied the text closely and critically. Displays a critical awareness of the strategies used by the author. Contains a clear and specific thesis, uses evidence from the text to support the thesis, and provides a clear argument for the student’s interpretation of the text. Is well written, includes fully developed and well-organized paragraphs, and is free of grammatical errors. Essays must be submitted by March 10 to urop@uoregon.edu and be no longer than 6,000 words in 12-point “Times” font with 1.5 line spacing. Two prizes of $100 each will be awarded to the top essays, including one for an essay by a first-year student. The author of the winning essay and the runners-up will present their essays on a panel at the Undergraduate Symposium on May 18. How can design, thinking and creativity help combat inequality and envision peace in communities? Through discussion, journal entries, drawing and other creative methods students learn to make moving artworks and practical, solution-based designs to counter racism and promote social justice. What were relations really like between native peoples and the settlers who colonized the American West? Examine historical and ethnographic accounts to uncover a deeper understanding of identity and race relations in the U.S. and gain new insight into this lesser-known chapter of U.S. history and its enduring legacy. LOL, ROTFL, :), giggling so hard you snort coffee out your nose. Dig in behind the jokes, pranks and laugh tracks to explore comedy’s dark side, which gets its laughs from stereotypes of race, gender, age, culture, sexual orientation, attractiveness and abilities, and its heroic side, which uses these same stereotypes and insecurities about our differences to break through these barriers. How do people collectively create institutions that enable or prevent justice? How do institutions shape personal beliefs and behaviors? How can daily choices shape existing institutions and create new and more just ones? Explore topics including consumerism, hunger and food waste, economic inequality, education, racism, policing and the justice system.